The formula with Vitamins helps even the skin tone, blends in well with skin and provides a radiant looking complexion. 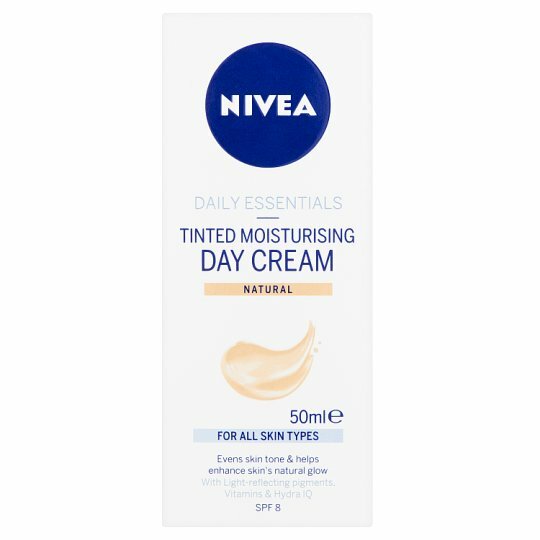 Moisturises and helps to protect the skin from environmental influences that result in premature skin ageing with SPF 8. The skin is intensively moisturised and radiant, looking healthy and beautiful. Hydra IQ supports your natural moisturisation via the skin's own water channels*. Promoting moisture flow between skin cells. NIVEA® uses ingredients inspired by nature to create high performance products that work in perfect harmony with your skin - to help you look and feel your most beautiful. 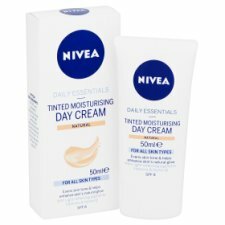 For optimal results use the whole range of NIVEA® Daily Essentials products. Apply cream on cleansed face by gently massaging in small circles.